This advice is ideal for aspiring entrepreneurs who are thinking about starting an animal feed wholesale and manufacturers business. Read this article before you begin your venture. We've assembled many valuable advice on how to go about opening an animal feed wholesale and manufacturers business. For centuries, animal feed manufacturing and wholesaling has been part of the American economic landscape. Although the American feed industry has traditionally been dominated by agricultural buyers, today's animal feed sector is exceptionally diverse with a large percentage of manufacturers now dedicating part of their capacity to the production of pet food products. As a prospective animal feed manufacturer and wholesaler, it's important to evaluate several established mill operations to get a sense of the size and scope of successful business models in the industry. During the course of the discovery process, you'll find that many mills offer custom blend options and variable feed rates based on tonnage (minimum orders begin around 5 tons). To handle the workload, your startup will need a facility that is outfitted with milling, grinding and bagging equipment as well as storage units for raw materials. Costs quickly add up – even for a small mill startup – so your planning process will need to address accurate sales forecasting and sufficient capitalization. Startup animal feed wholesalers are B2B sellers, meaning that the sales and marketing strategies your business employs must be directed toward other businesses rather than consumers. If you're not familiar with B2B sales and marketing techniques, you'll need to get up to speed ASAP since they are very different from typical consumer selling cycles. One of the primary differences is that B2B sales campaigns leverage sales teams. The idea is to staff an internal sales force that will target and sell to key businesses in your sector. Although sales and marketing are closely connected, they are not the same functions in a growing business. Since it's impractical for many new feed manufacturers to staff their own marketing departments, many outsource marketing to a professional SMB marketing firm. Feed manufacturing and wholesale operations are only as good as the quality and consistency of the raw materials they use to produce agricultural feed (e.g. horse, chicken, cattle) and pet food products (e.g. dog, cat, fish, rabbit). As is the case with the human food supply, animal feed is susceptible to contaminants that can jeopardize the health of animals and humans. To combat the possibility of a contamination that can devastate your brand image, you will need to establish supply relationships with reputable ingredient suppliers. 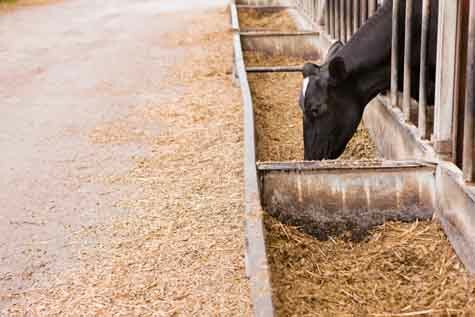 With international ingredients taking a beating these days, many animal feed wholesalers highlight the safety benefits associated with using only domestically produced feed ingredients. Many new animal feed wholesale and manufacturers business owners feel unprepared for the challenge of writing a business plan. Fortunately, you don't have to tackle your animal feed wholesale and manufacturers company's business plan by yourself. These days, there are tons of great resources and solutions available to support the business plan writing process. Before you open an animal feed wholesale and manufacturers business in your town, it's worthwhile to see how many competitors you have. Try our link below to generate a list of competitors in your area. Simply enter your city, state and zip code to get a list of animal feed wholesale and manufacturers businesses in your town. After you've evaluated your local competitors, it's a wise move to learn as much as you can from somebody who is already in the business. Local competitors are not going to give you the time of day, mind you. The last thing they want to do is help you to be a better competitor. But, a person who owns an animal feed wholesale and manufacturers business in another town can be a great learning resource for you, as long as they don't view you as a competitive threat. In that case, the business owner may be more than happy to discuss the industry with you. It can take a while to find an entrepreneur who is willing to talk, but it's well worth the effort. Where can you find an animal feed wholesale and manufacturers business entrepreneur in another city who you can speak with? Although there are significant benefits to buying an animal feed wholesale and manufacturers business (rather than launching a startup), it's important to weigh the pros and cons before you commit to a purchase scenario. Your odds of being a successful business owner greatly improve if you become a franchisee and leverage their successful brand and track record. Before starting an animal feed wholesale and manufacturers business, you may want to assess whether there are good franchise opportunities available that might help you on your entrepreneurial journey. What haven't we covered regarding starting an animal feed wholesale and manufacturers business? Please post your thoughts below. Already Own an Animal Feed Wholesale & Manufacturers Business? Are You Selling to Animal Feed Wholesale & Manufacturers Businesses?